Most divers use scuba tanks filled with simple compressed air (filtered and dehumidified). 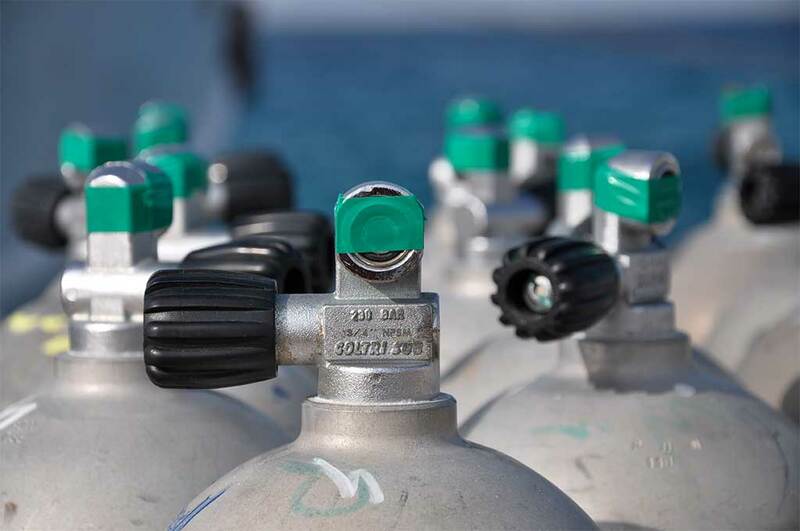 This is safe and standard within recreational diving limits – breathing other gasses or exceeding depth/time limits requires the use of specialised gas mixtures: primarily Nitrox, Trimix and oxygen. Nitrox, also known as ‘Enriched Air’, is a blended gas consisting of pure nitrogen and oxygen. The air we breathe normally is ~21% oxygen and ~79% nitrogen (with other trace gasses mixed in); Nitrox (generally) has an oxygen percentage between 22 and 40%. Recreationally, diving with Enriched Air Nitrox allows longer no-decompression limits (although it restricts maximum diving depth due to oxygen toxicity) by reducing the amount of nitrogen your body absorbs, thereby reducing relative risk of decompression sickness vs comparable dives using scuba tanks filled with air. Diving with Enriched Air Nitrox (EANx) requires special safety training, a scuba tank gas analyser and a scuba tank fill location with a compressor (and gas blender) capable of both producing and ascertaining the desired gas mixture. 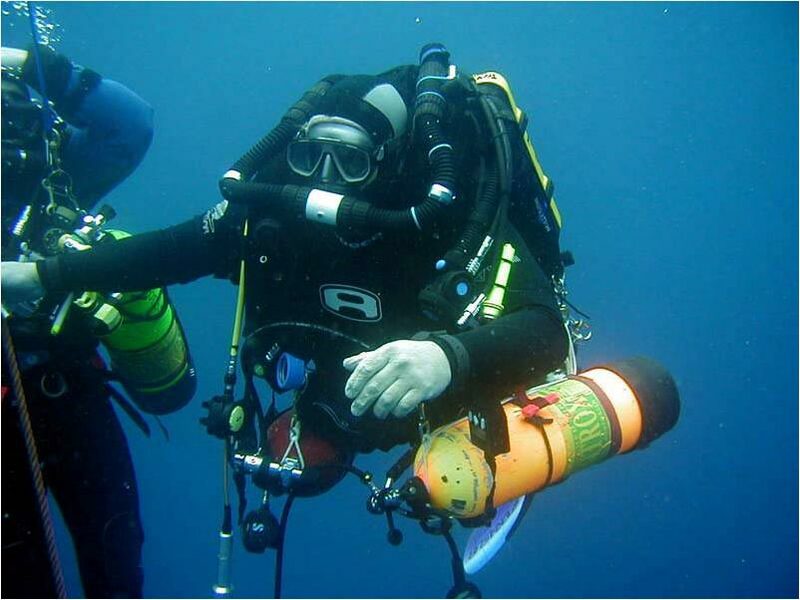 Trimix is a mixture of 3 gases (nitrogen, oxygen and helium) used to increase depth limits and/or dive times. Whatever its percentages, this scuba tank gas mixture is exclusive to technical (decompression) diving: recreational divers do not use Trimix. Scuba tank fill locations with Trimix-capable compressors must use a certified gas blender to prepare the gas mixture. Heliox is a mixture of helium and oxygen used by technical divers on very deep/long decompression dives. It is not used by recreational divers. Can you fill your tank with pure oxygen? No! Oxygen becomes rapidly toxic at depth – prolonged exposure to pure oxygen below a few metres can kill you. It is not an appropriate scuba tank gas mixture. Technical divers use pure oxygen on carefully-calculated decompression dives, but this is beyond the scope of recreational diving and should not be attempted. Oxygen is also highly reactive and can make other substances flammable. Safety training is necessary to work with pure oxygen.